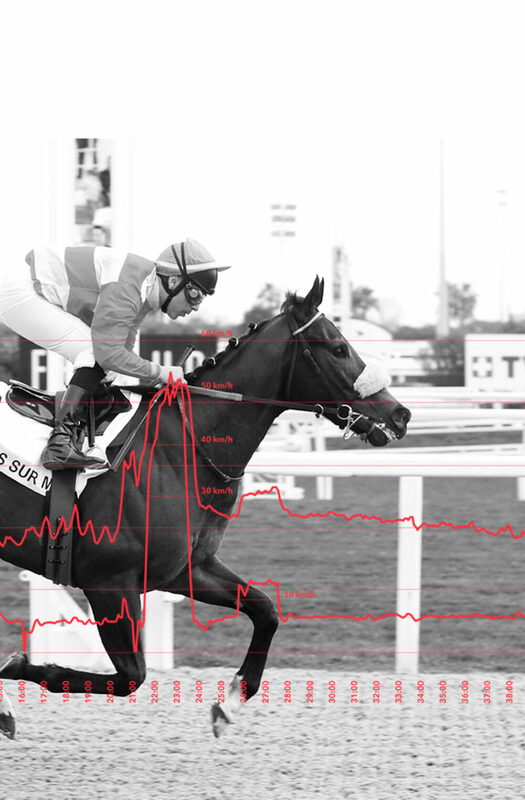 Exalt training is the first performance tracking solution developed with racehorse trainers in mind, by Souffl for the Paris-Turf Group. 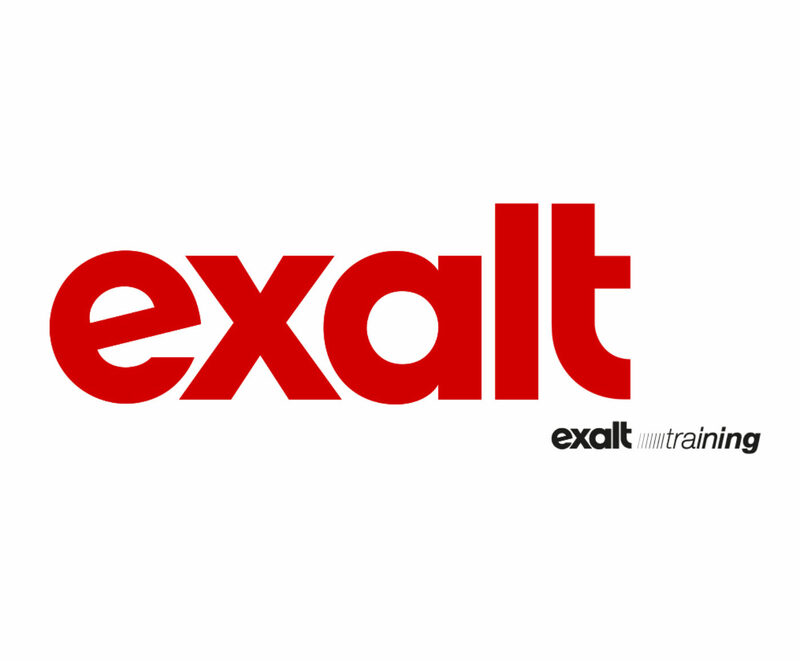 Exalt training is an innovative solution that allows the user to understand and objectively analyze a horse’s performance level in order to fine-tune its training. 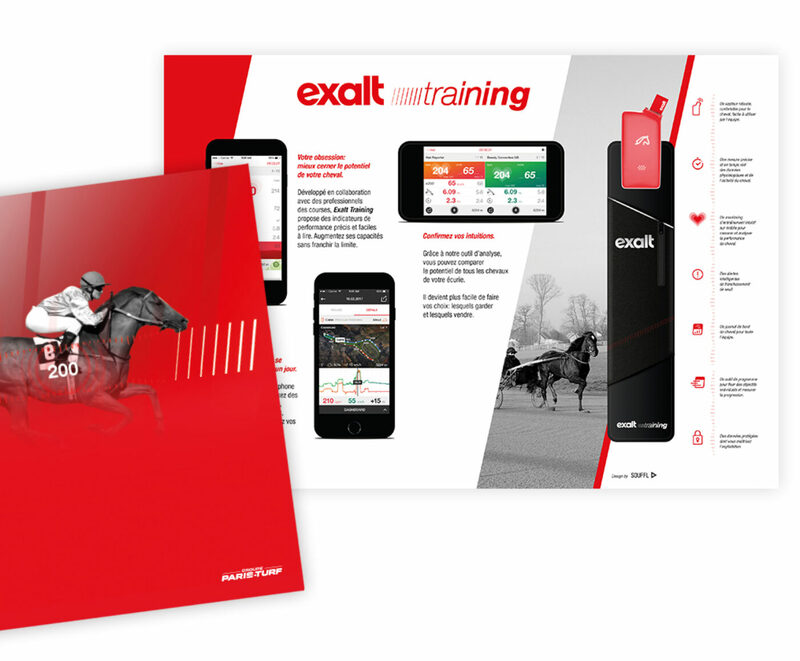 Designed using a thorough analysis of the horse’s physiology and the trainers’ needs, Exalt training is based on an innovative sensor attached to the horse, and on a platform and app targeted to the trainers. Exalt training is the result of detailed scientific research, precise engineering and demanding design, carried out by Souffl working hand in hand with the teams at Paris-Turf. 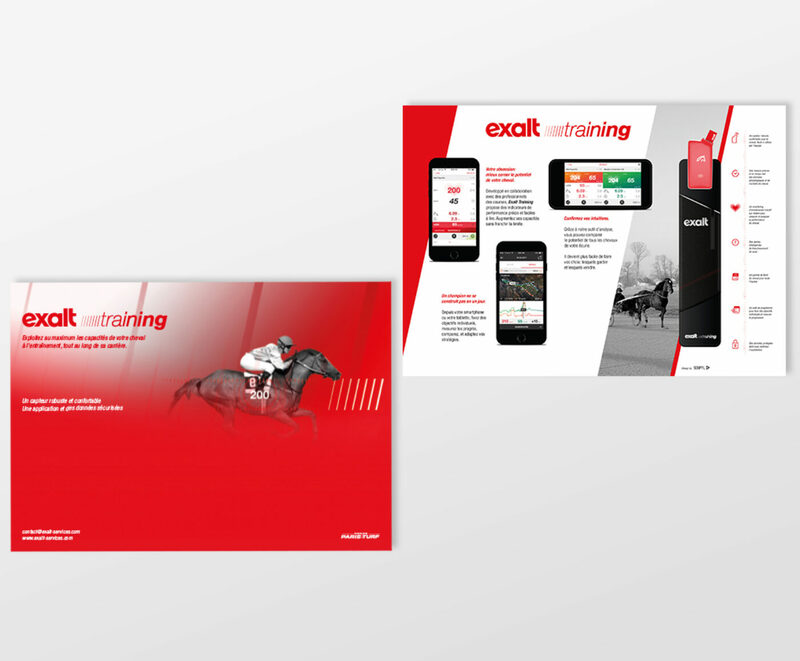 Exalt training is a true innovation in the horse-training world, and a first for the media group Paris-Turf in terms of diversifying their business model. In late 2015, the Paris-Turf Group embarked on a bold project, assisted by the teams at Souffl: reinventing the future of their business. 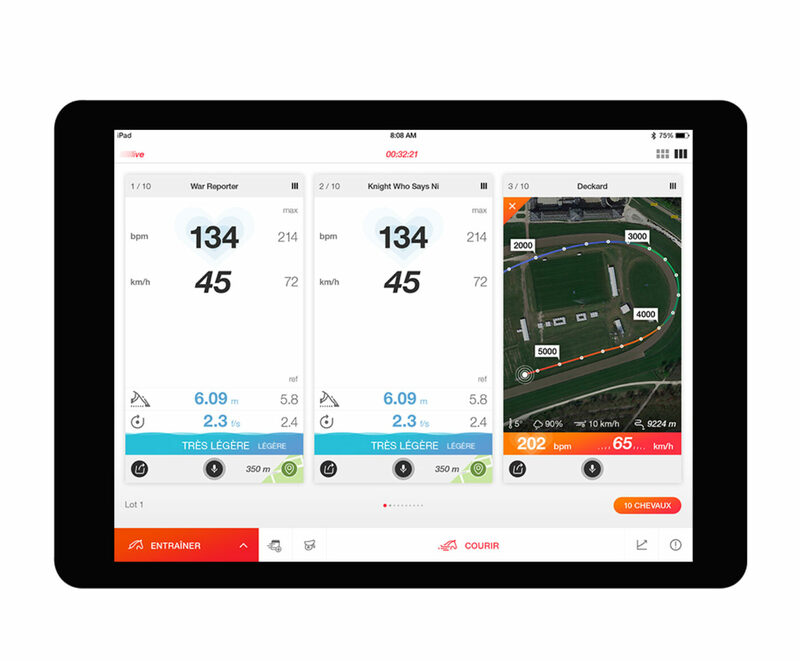 Less than two years later, Paris-Turf launched Exalt training, the first performance tracking solution developed with race horse trainers in mind. Exalt training is the result of Souffl’s creative and development expertise, at the intersection of professional sports, design, science and technology. To develop Exalt training, Souffl made use of their design expertise, from developing the product to designing the interface and interactions, all the way to creating the brand identity. This global vision brings a deep level of coherence to the whole solution, from the physical product to its digital components. The global design work drew on a thorough scientific collaboration with the most eminent experts in equine physiology. Indeed, developing a performance tracking solution for race horses requires a very precise understanding of the mechanisms at work during the training of these animals. You have to be able to identify the right indicators and to model the objective measurements of a horse’s performance. 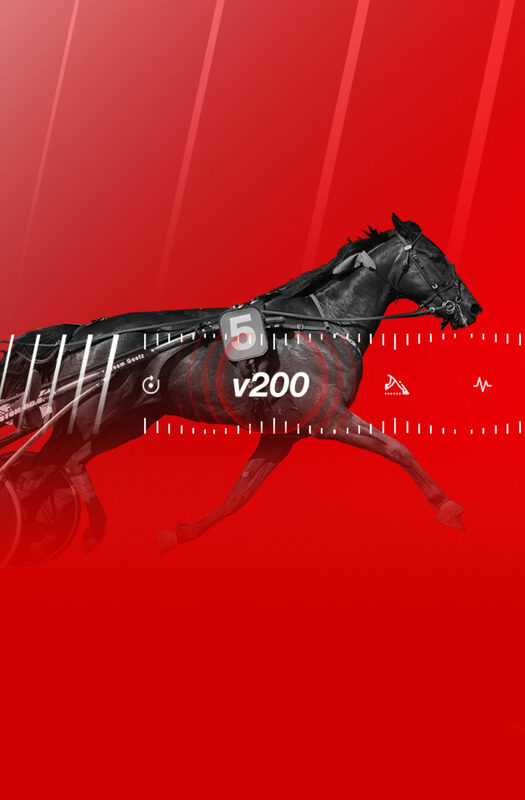 Therefore, the teams at Souffl, despite being quite familiar with the intricacies of building tracking solutions, invested in a new field of knowledge so as to offer a solution tailored to a new field, that of horses and horse racing. Finally, Souffl relied on their engineering skills to design and develop the various components of the solution, namely the sensor, platform and app. Linking the data recorded by the sensor (attached to the horse) to the analytical platform (in the hands of the trainer) in real time was quite the challenge. 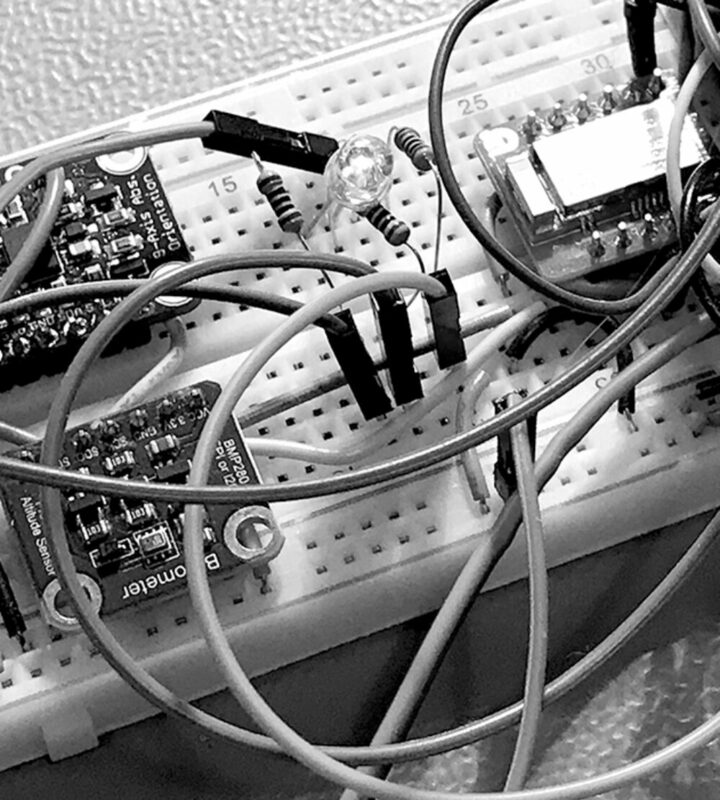 By proceeding with the design phases, followed by prototyping and testing, Souffl was able to meet the technical challenge of this unique tracking solution. Organizing a large number of work meetings in the field allowed Souffl to gain a deep understanding of the profession and daily routine of trotting and galloping trainers. The teams at Souffl embarked on a truly immersive journey, coming into contact with race horse training professionals and enthusiasts. Souffl carefully observed the teams’ movements and routines, thus soaking up the culture and values of this world at the crossroads between nature, high-level sporting and tradition. Every observation, testimonial and ride-along was incorporated into the design to make Exalt training a solution perfectly adapted to the routines of each stable, bearing the values of emotion and performance. 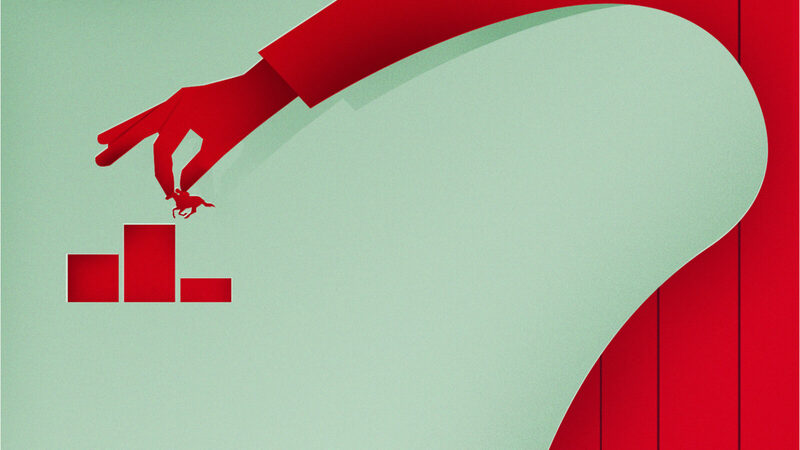 Interface Design – Simplifying Information. One or two pieces of information: what an experienced trainer can decode from the gait and movements of a horse. 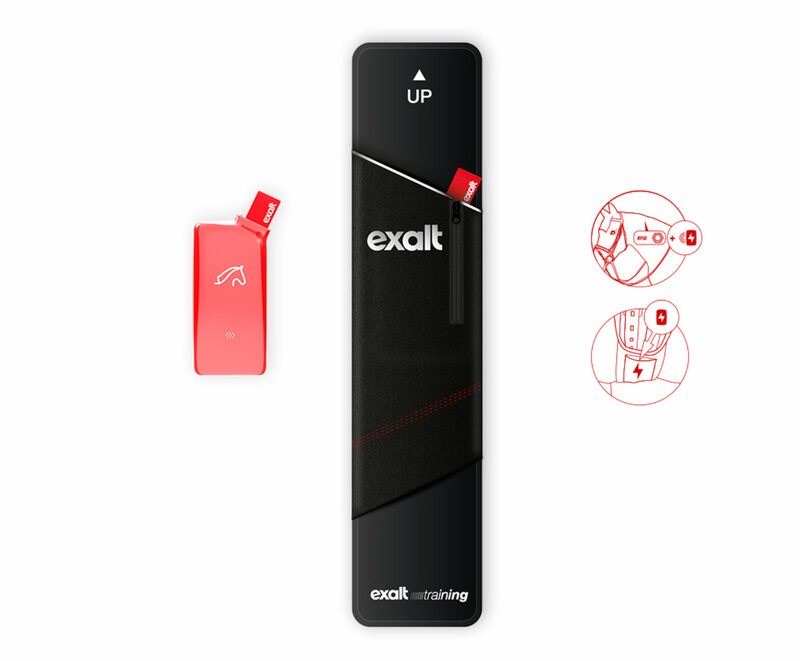 Thousands of data points: what the Exalt training sensor can record and process in the course of a single stride. Yet, Exalt training’s value is not simply in the amount of data processed, but is particularly based on the value of indicators provided. 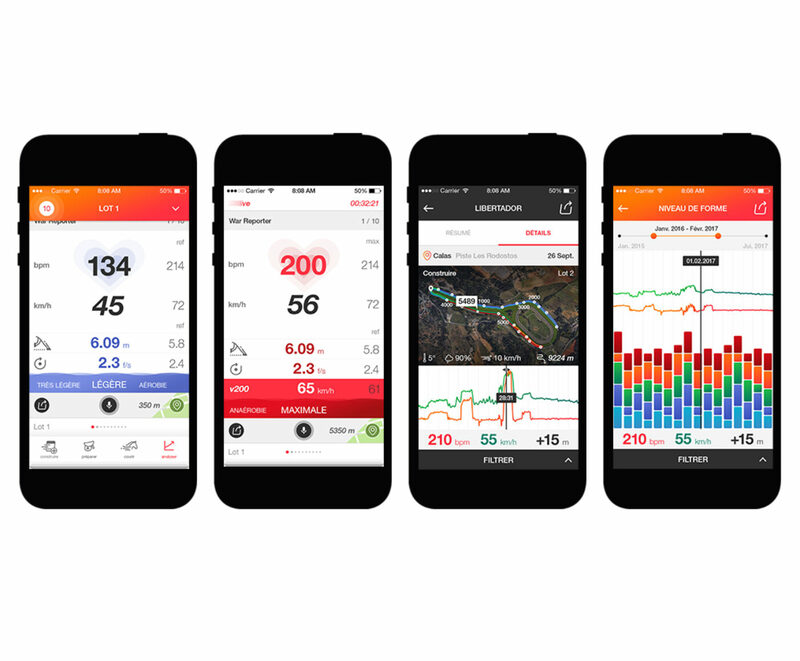 For the first time, thanks to Exalt training, the trainer and their team can take precise measurements of effort ranges, speed, heart rate and stride frequency in real time. This data provides an objective assessment of a horse’s performance and gives trainers unprecedented points of analysis. 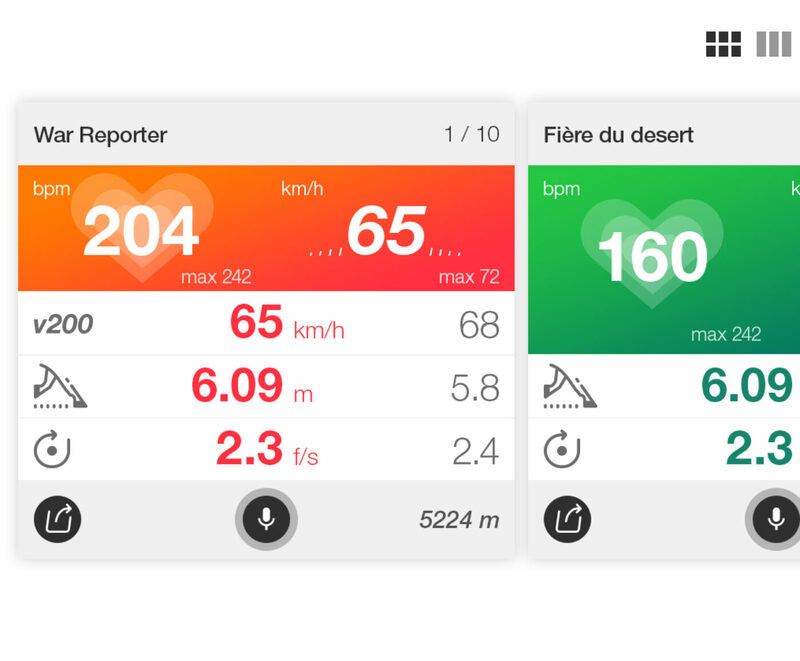 For every indicator to be exploitable, Souffl designed an interface that provides the trainer with simple, contextual and clear information, whatever the training phase and environment. One of the challenges in designing the interface was simplifying the data and only returning indicators that were essential for each training phase, while making them readable all day, be it in direct sunlight or at daybreak. Each piece of information comes with audio or visual signals and feedback. Finally, focus was placed on analytical tools. 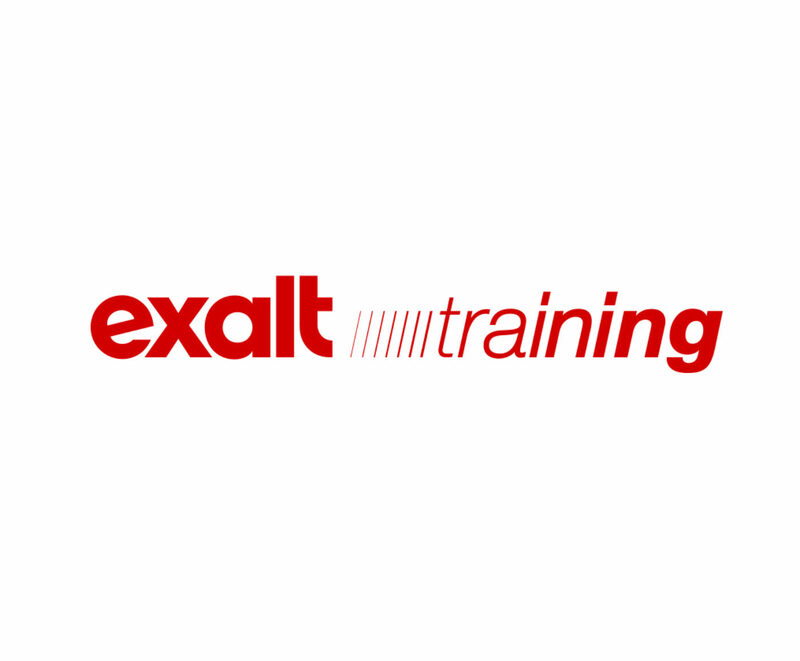 Exalt training provides the trainer with interfaces developed to favor data manipulation, simulate programs or forecast progress. You have 30 seconds to set up everything. Thirty seconds: the time it takes an experienced rider to set up or remove their equipment. The movements are precise and automatic. 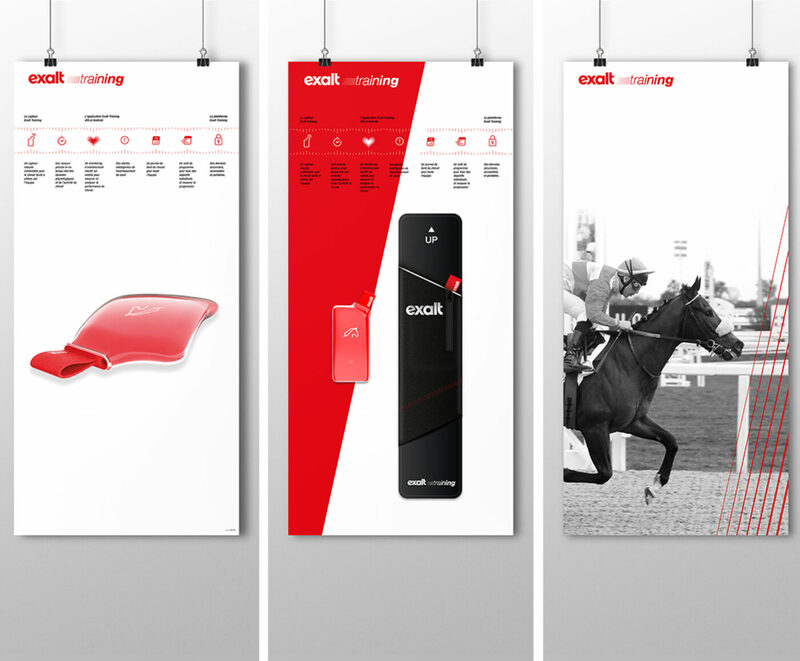 In designing the sensor and the sleeve, it was essential that using Exalt training naturally extend these movements, and that the product be suited to the horse, while also giving users a feeling of durability and modernity. 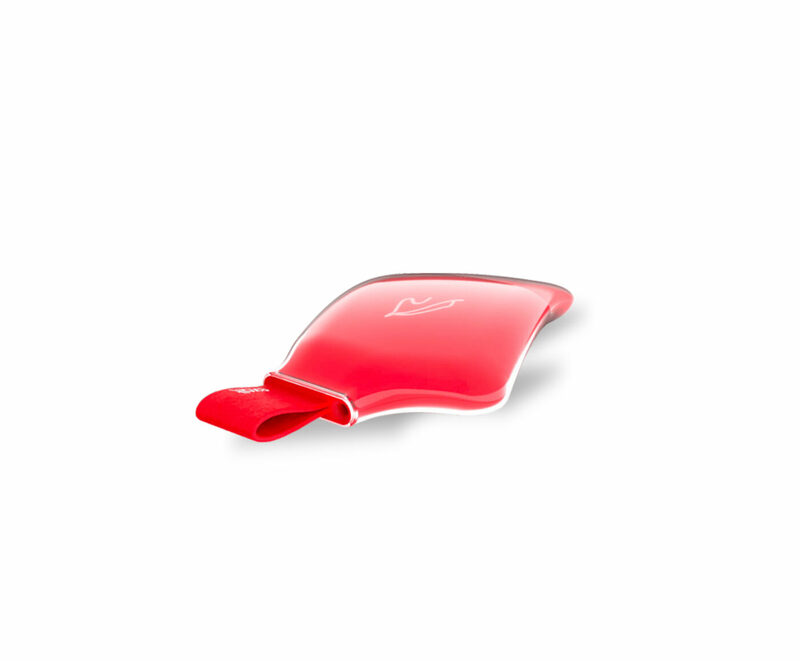 The complexity of the design and ergonomics is immediately obvious when taking into account the initial constraints: the product must respond to extreme situations (vibrations, friction, speed, perspiration, weather conditions, etc. ), be comfortable and fit the horse’s morphology, integrate all the technological limitations, be readable regardless of lighting conditions, be usable without a manual, and so on. Throughout an iterative process of designing and testing, Souffl brought together a number of experts, engineers, product designers and specialists in textiles and materials. 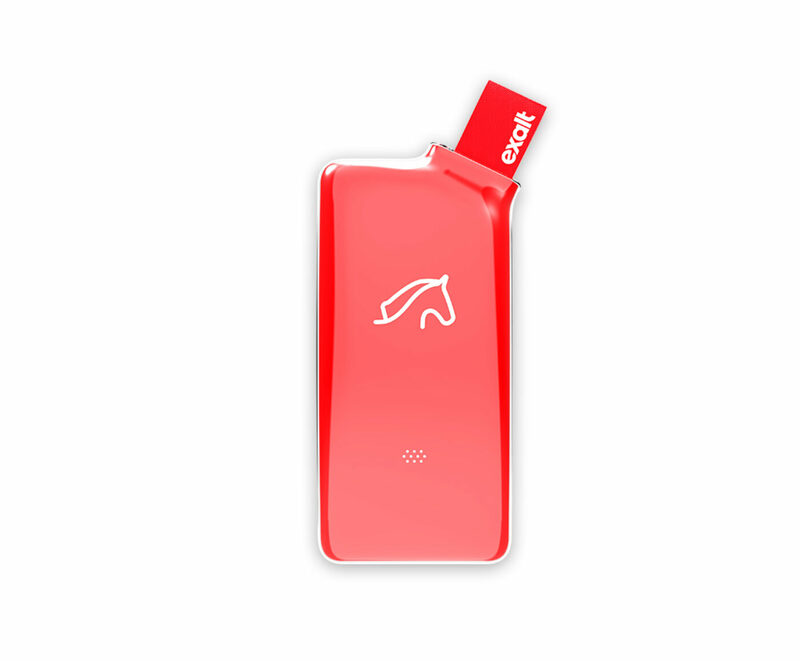 As a result, the sensor and sleeve to be positioned under the rider’s saddle are light, easy to set up and take on all the technology developed by Souffl while staying in keeping with the Exalt training brand identity. With Exalt training, Paris-Turf’s goal is to create a strong brand whose values will be carried into the future through a variety of products and services. 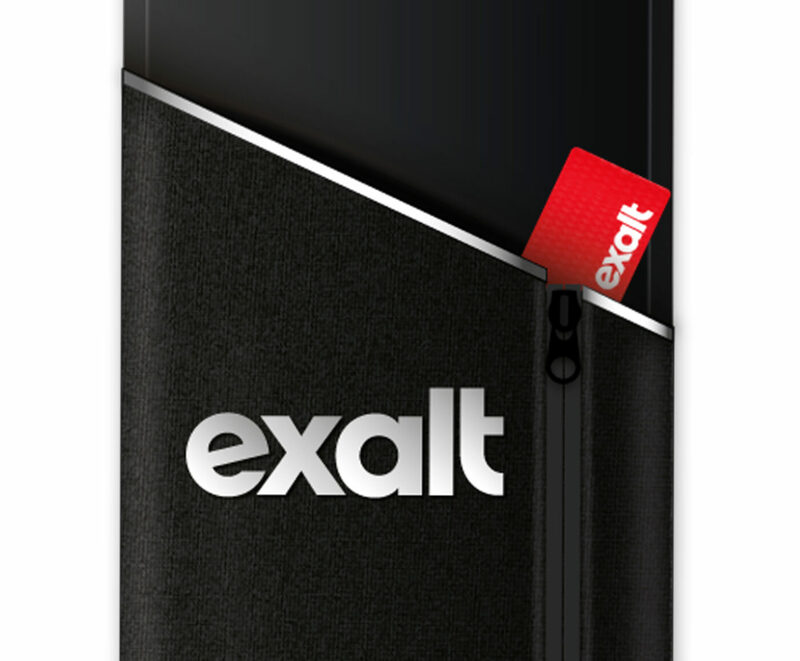 The Exalt identity is supported by a coherent design on all levels of the solution. The same codes are featured on the physical elements (the sensor and sleeve) and the interface elements (the platform and app). The horse has always run because it is prey for other animals. For this reason, horses are not aware of their own limits; they do not know when to stop and can keep pushing to the extreme, even dying of exhaustion. Trainers know this phenomenon well and dread a horse being “damaged” in such a way. This is exactly why Exalt training provides a vital innovation. 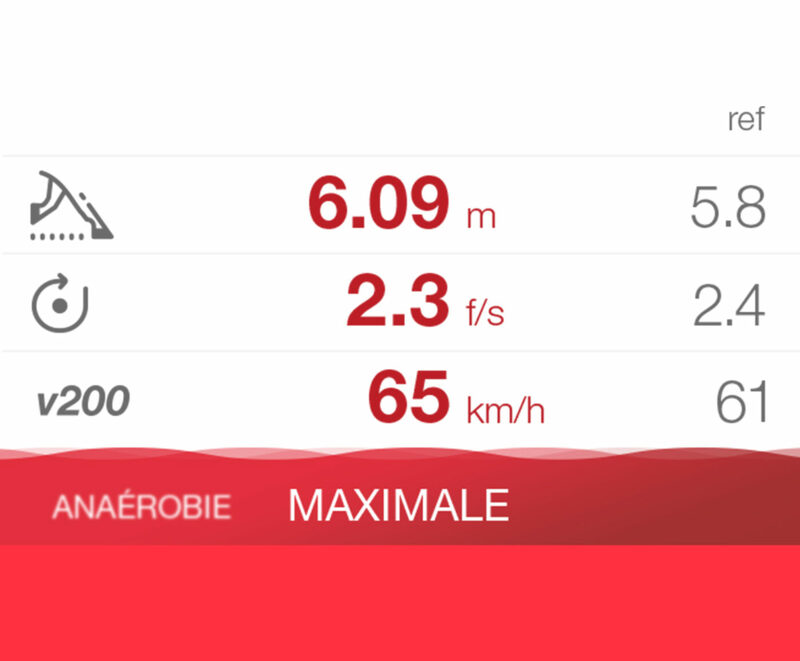 For the first time, the trainer has access to objective indicators and can identify the horse’s limits. 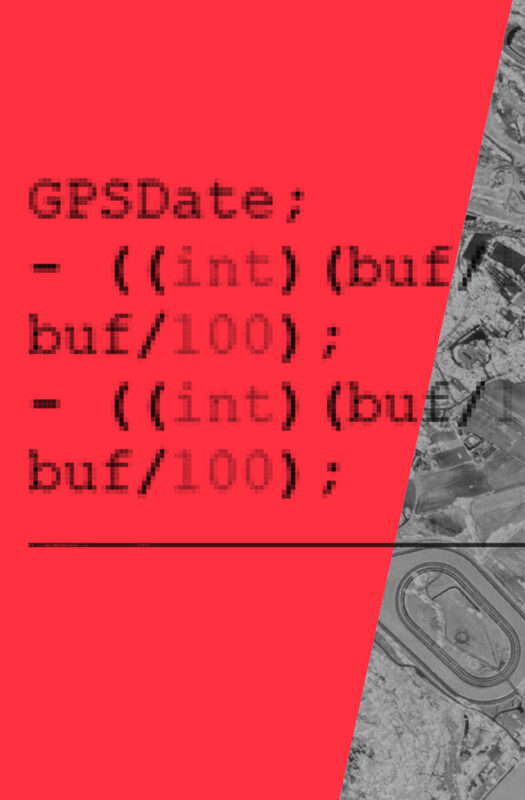 Owing to previous projects, Souffl already had a fair understanding of the intricacies of developing a tracking solution. 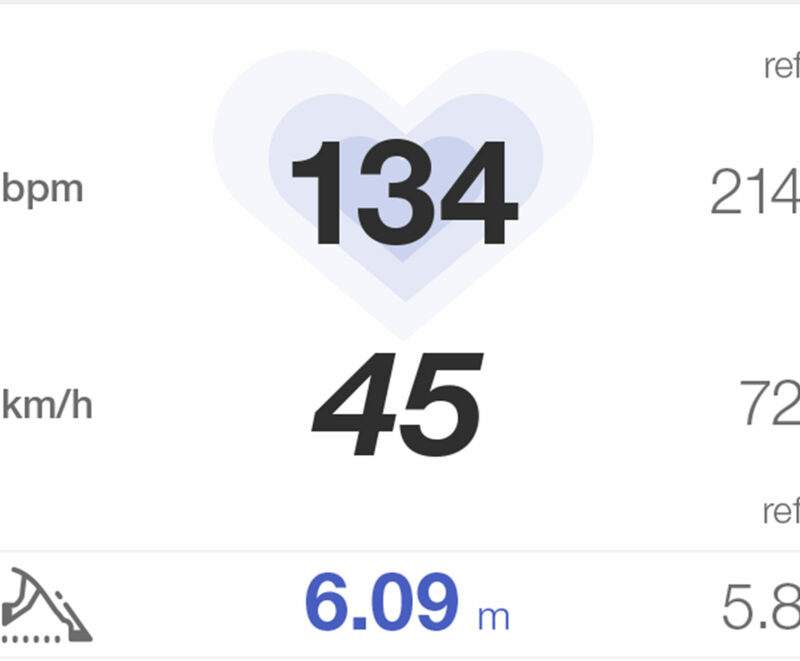 Whether measuring physical performance or experiencing cardiac coherence with biofeedback (see the O.zen case for Ubisoft), these solutions all rely on indicators. The challenge here was to determine when and in what conditions the Souffl team could draw on past experiences. A horse’s respiratory system works quite differently from a human’s. In horses, breathing is synchronous with gait, and plays two main roles: oxygen intake and temperature regulation. This means an indicator commonly used among athletes, such as maximal oxygen uptake (VO2 Max), is irrelevant for horses. However, high-level athletic training was a useful source of inspiration for the Exalt training project, and meeting with the coach of the best French sprinters helped us see how access to objective measurements has changed training practices over the last 20 years. The teams at Souffl also incorporated the input of veterinary science and equine physiology experts by studying publications from the major specialist centers in France, as well as from research institutes in the US, the UK and Sweden. This research allowed them to define the indicator “concepts”. The teams then had to check the computational model for these indicators or, where appropriate, invent one and verify its technical feasibility. The involvement of Souffl teams in the scientific understanding and development process was instrumental to the project’s success. The design and development of the various elements supporting the Exalt training service (sensor, platform and app) required expertise, engineering and risk-taking. 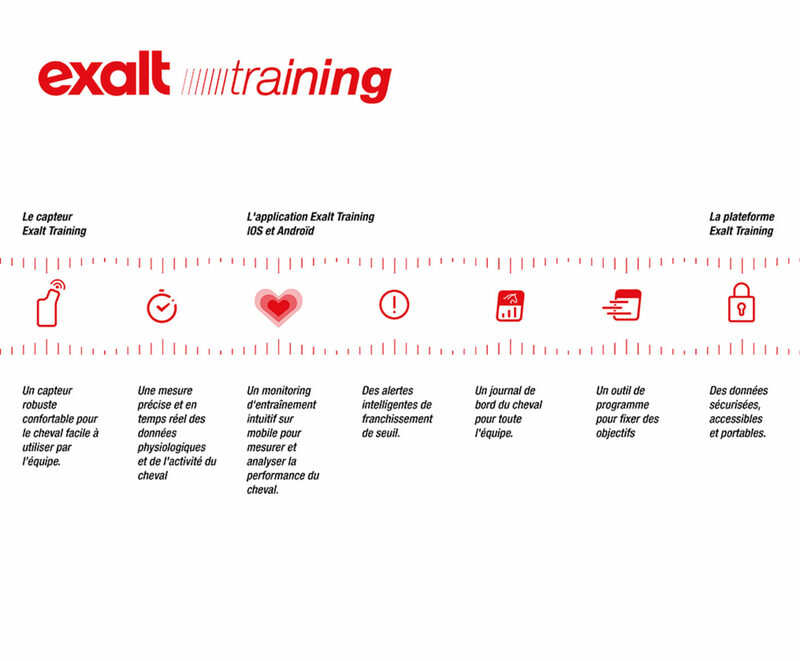 The most complex element is, without a doubt, the Exalt training sensor. It contains a variety of components that need to work together while conforming to the sensor’s design limitations. As for the platform, the aim was to process a significant amount of data in a context of unstable connections, in order to provide reliable information in real time. Finally, to develop the app, the Souffl teams relied on technologies allowing them to create interfaces that were complex, streamlined and easy to use, regardless of the device or system. 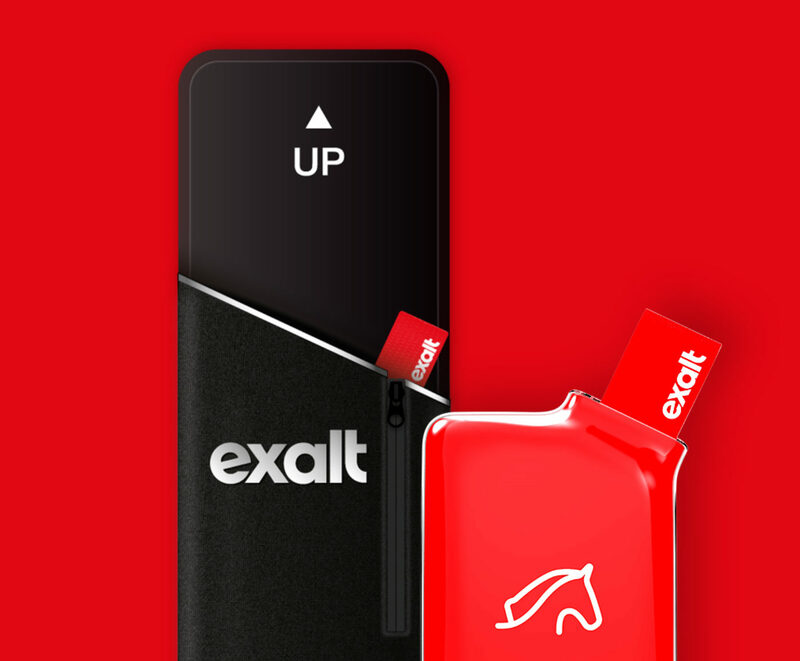 The Exalt training sensor features a number of technological components that can record, process and communicate the horse’s movement, heart rate and position in real time. One challenge in particular was to integrate RFID technology into the sensor, as this technology can be easily disrupted by other electronic components. It was also no easy task to select a large number of electronic components and make them work together, while also respecting constraints in terms of shape, impact resistance, water resistance, volume and weight. The development process of a specific technology follows the same logical steps as the design process: concept, prototype, test and approval. Through this experimental approach, we can eliminate most of the risks inherent to the creation of a complex technological solution. This way, we can sustain and strengthen the design, with engineers and designers working side by side. 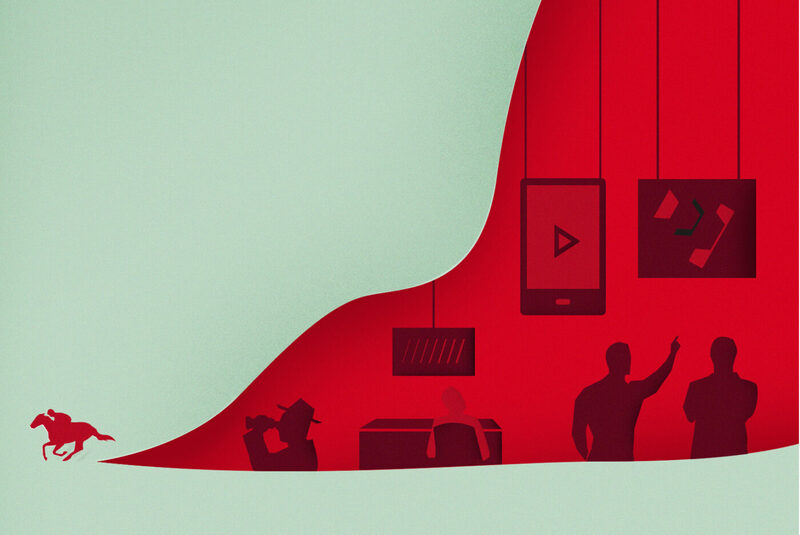 Transforming a company’s vision through a deep understanding of the client experience.